Do you enjoy watching sports? Love cheering on your favourite team or athlete? Well, gang – so did the Ancient Romans! Join National Geographic Kids as we head back in time to visit one of the world’s most famous historical sites and sports arenas – the Colosseum. Let the games begin! 1) The Colosseum was built between 72 A.D and 80 A.D under the Emperor Vespasian, in the heart of Ancient Rome. 2) Made from stone and concrete, this magnificent monument was built with the man power of tens of thousands of slaves. 3) The Colosseum is the largest amphitheater (meaning “theatre in the round”) in the world! Oval in shape, it measures 189m long, 156m wide and 50m high (about the height of a 12 storey building). This ancient sporting arena could easily fit a modern day football pitch inside! 4) This brilliant building had 80 entrances and could seat approximately 50,000 spectators who would come to watch sporting events and games. These events included gladiatorial combats, wild animal hunts and, believe it or not, ship naval battles! 5) Free for all! 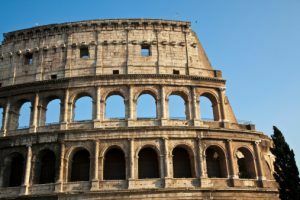 At the Colosseum’s major events – often those organised and paid for by the emperors themselves – there was no entry fee. And free food was sometimes served, too. Bonus! Emperors would use this as a way to gain popularity and support from the public. 6) The events at the Colosseum were seriously brutal, though – during certain games held by the emperors around 10,000 animals were killed in a single day. 7) The first games ever to be held were in 80 A.D, under Emperor Titus (the son of Vespasian), and they ran for 100 days straight. 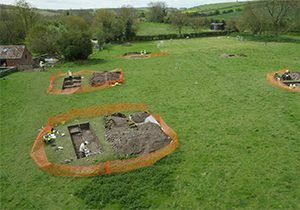 Games continued to be held for centuries to come – gladiatorial games until the fifth century and animal hunts until the 6th century. 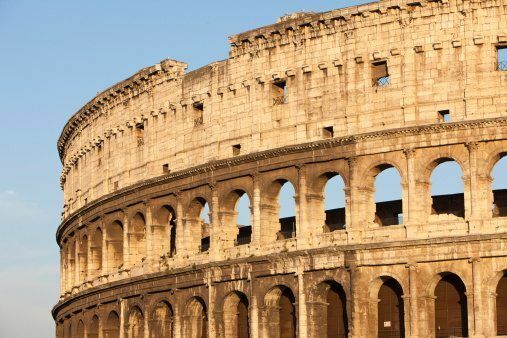 8) To protect the spectators from the blistering sun and heat of Ancient Rome, there was the velarium – an awning that could be pulled over the top of the seating area to provide shade. Clever, eh? 9) Below the Colosseum were numerous rooms and underground passages. Here is where the animals and gladiators were kept, waiting to meet their fate in the arena above. There were also 36 trap doors in the arena for special effects! 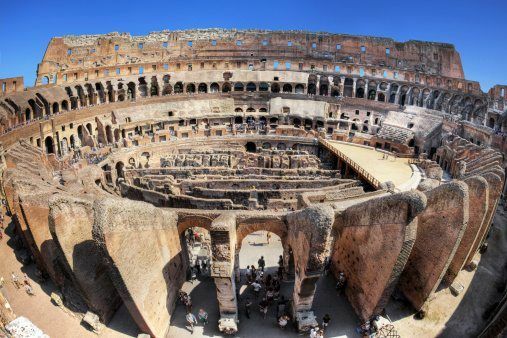 10) Although two-thirds of the colosseum has been destroyed over time – mostly the result of vandalism, earthquakes and fires – it is today a popular tourist site, attracting thousands of people every year! With many thanks to Dr Dirk Booms of the British Museum. To step back in time and find out more about Ancient Rome and other fascinating civilisations, be sure to visit the British Museum, London. this is actually pretty cool learnt a lot I'm gonna use this site more often!!! This was very informative and helped me with my research! Thanks, National Geographic Kids! Awesome facts Ill just write them down in my reading book. Bye!!!! Thanks a lot! I had to do an essay on Italys art forms, architecture, ceremonies, industries, landmarks, tourism, e.t.c. and this really helped a lot on the tourism part so now I am almost done! Guess what? Now I have to make a poster on it. 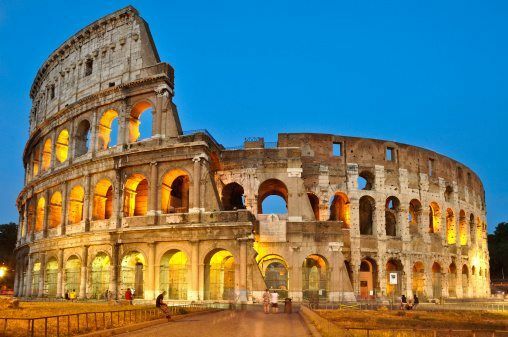 Awesome many brilliant facts about Colosseum . sweet! 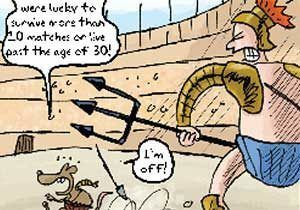 but did you know that the gladiators fought to actual death, and the naval battles involved real killing? and that if the crowd does a thumbs down meant, to kill the man and thumbs up to spare? i lov this websit<3its pretty neat!!!!! you can tell its neat by the way it is!1!!11!!11!!!!! 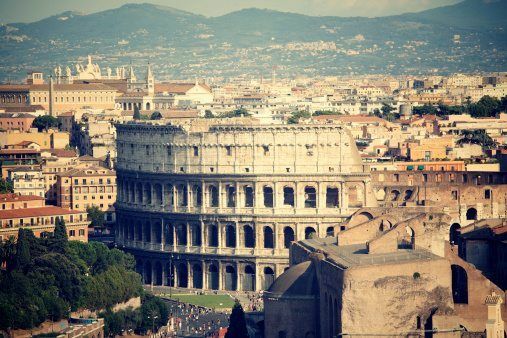 good website but should include facts about the Colosseum today and how it is used today. This helped me a little but Im in sixth grade and I had to do a really loooooooong report ugh so boring!